Bearing handling is as important as bearing design and cleanliness. Improper handling can contaminate or damage the bearing assembly. Proper handling and installation helps to maximize bearing performance and bearing life. Bearings should be kept in their original and unopened PKB packaging until ready to use. Open each bearing, one at a time, as needed for installation purposes. Do not open extra bearings or expose unused bearings to the environment. Unused bearings should be kept in their original, protective PKB packaging. Bearings should be handled in a dust free environment that is clean, dry and free of static. Clean, lint-free garments should be worn by anyone that enters the work area. 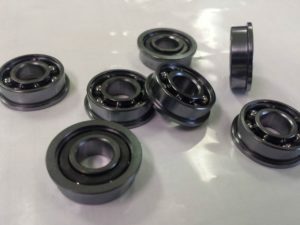 Fluids, solvents, and other materials that are not part of the assembly process should be kept away from the assembly area to prevent contaminating the bearings. Machining, filing, soldering, grinding, etc should be kept away from the assembly area to prevent contaminating the bearings. All tooling and instruments should be non-magnetic. It is important to keep tooling and instruments clean and properly maintained to avoid burrs or other potential contaminants. Bearings should be handled with specially designed hand held instruments, such as plastic tweezers or tweezers with special work tips. In situations where the bearings must be handled by hand, it is important that clean, dry, unused, and lint free gloves and finger cots should be utilized. Never touch the bearings with bare hands or fingers. Tooling and instruments should be cleaned with a spray, not sloshed in a bath of solvent. Sloshing may allow cross contamination. Bearings, tooling & instruments must be kept demagnetized. Should magnetism become evident, utilize a demagnetizer before exposing the bearing to the work environment. 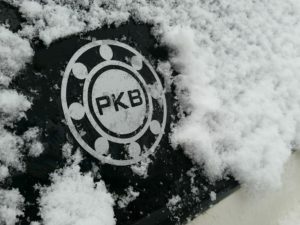 Any unused bearings that were removed from the PKB protective packaging should be stored in clean, dry containers, with proper identification labels. A clean anti static glass covered dish is often an acceptable storage container between work shifts. See our Bearing Installation page for more information about proper installation of the PKB bearing into your device. 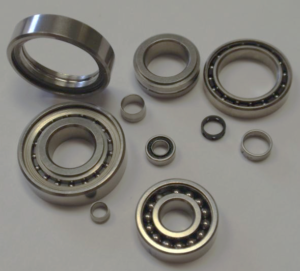 Contact us with any miniature ball bearing requirements you may have. PKB’s Clean-Room Bearing Maintenance and Re-lubrication Center meets Class-6, with Class-5 Clean Benches, per ISO 14644-1. PKB manufactures bearings up to 1.125″ O.D. Pacamor Kubar Bearings is pleased to offer clean-room services. Have your ball bearings been in a stock room for 3 years or longer? Is the lube discolored or the packaging damaged? Did your stockroom temperature and humidity ever fluctuate? PKB’s quality certified factory and clean-room are the right place to refurbish your ball bearing inventory. Who better, than the ball bearing manufacturer, to re-lubricate your aging bearing inventory? 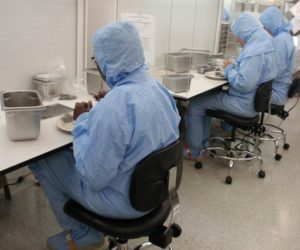 Intimate bearing packaging in Class 6 Clean Room, with Class 5 Clean Benches, meeting ISO 14644-1. Why Maintain Proper Bearing Lubrication? Proper lubricant can reduce friction, prevent bearing wear, protect bearing surfaces from corrosion, and carry away excess heat during bearing operation. Bearings operate on a very thin film of lubricant which must be maintained, or replaced, to ensure that maximum bearing life is achieved. Proper selection, application, and maintenance are vital in maximizing bearing life. Maintaining your bearings with proper lubrication will reduce friction and wear. Can PKB Re-lube Bearings That Were Manufactured By Other Companies? Yes. PKB regularly performs re-lubrication services on bearings that were originally manufactured by other bearing companies. When Should Bearings be Re-lubed? Can’t I Just Wash Out the Lubrication and Install New Lube? 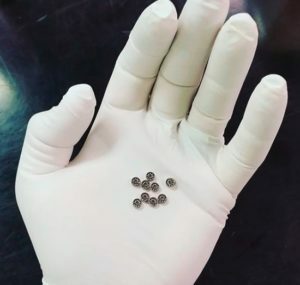 Many 440C Stainless Steel Bearings that are used in Aerospace, Medical, and other applications, can be cleaned and re-lubricated, in proper clean-room conditions, and by trained personnel. Improper handling can result in cross contamination, problems with wettability on balls & bearing races, or ball & raceway damage. Other components affected or broken, are the retainers, seals, shields, balls, or wires. PKB provides bearing wash and re-lubrication services, for many Aerospace OEM’s and authorized re-sellers, in our factory clean-room. Please Contact PKB for a quote to rework your in-house bearings, with new lubricant, or to make a lubricant change. The most popular bearing lubricants are listed on our Lubrication Page. Many more oil, grease and dry-film lubricant options are available, upon request. See our Shaft and Housing Fits page for a detailed chart and more information line to line, interference & loose fits onto a bearing shaft or into a housing. We are excited to discuss with you our miniature and instrument bearing capabilities. PKB manufactures ball bearings for some of the world’s most respected small motor brands. Shorten your ball bearing lead times with our domestically produced bearings, manufactured and assembled in Troy, NY. Best prices in the domestic bearing industry! Reduce your domestic ball bearings costs with our Veteran-American Owned & Operated Small Business. Expedite time to market for your new and updated products. Your engineers will love our speedy delivery of engineering prototypes and evaluation samples. Our wide range of miniature and instrument bearings are used in an array of small motors, actuators, encoders, often found in aerospace, space, military, medical and surgical applications. We have proudly supplied products for the NASA Docking Station, NASA James Webb Space Telescope, MARS 2020 Rover, Sikorsky Helicopters, Cryogenic Flowmeter Applications, FAA TSO-C149 Aircraft Bearing applications, many military and Department of Defense (DoD) applications, as well as other space, aerospace, medical, and customized applications. 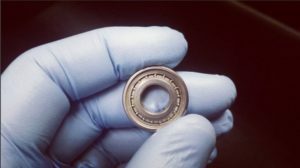 The bearing industry was once again rocked by news of widespread counterfeiting. Bearing manufacturer SKF reported the identification and destruction of 15 tons of counterfeit bearings, totaling approximately 17,000 bearings. Pacamor Kubar Bearings (PKB) is deeply concerned by these risks to parties who put their trust in counterfeit and unapproved parts. PKB takes pride in product quality, workmanship, knowledge and skill as experts in the production of high quality aerospace bearings. The entire PKB factory is AS9100 Rev D & ISO 9001:2015 certified and all of the DFARS approved products are FAA TSO-C149 Aircraft Bearings certified. If the package isn’t shipped directly from PKB, or from one of a very few PKB approved re-sellers, be sure that the product you are buying is original PKB manufactured product. Authentic PKB Aerospace Bearing at the Pacamor Kubar Bearings factory, in Troy, NY. Expedite time-to-market for your new and updated products. Your engineers will love our swift delivery of bearing prototypes and evaluation samples. 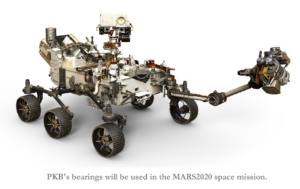 Pacamor Kubar Bearings (PKB), a Troy, NY manufacturer of ball bearings for aerospace and defense systems, was recently awarded a contract by Sierra Nevada Corporation (SNC) to supply critical hardware for the Mars 2020 mission. 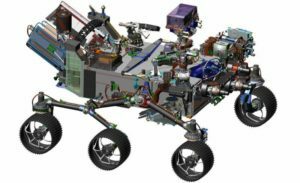 Scheduled to launch in 2020, the robotic science rover will investigate key questions about the habitability of Mars and assess natural resources and hazards in preparation for future human expeditions to the red planet. Under the new contract, PKB will manufacture ball bearings for several motors in the robotic arm actuator and sample caching system. 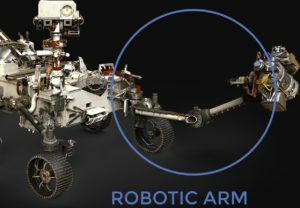 The instruments will enable scientists to identify and select a collection of rock and soil samples that will be analyzed and stored for potential return to Earth. PKB understands the unique challenges presented by aerospace and guidance applications. Temperature extremes and the vacuum of space create demanding requirements for the lubricant type and its ability to withstand the environment. To meet this demand, PKB is providing precise and reliable products in support of successful missions. PKB is ISO9001:2015 and AS9100D certified, which includes the additional QS requirements specific to the aerospace industry. The company attained certification from the FAA to manufacture bearings per the requirements of TSO-C149, thereby enabling it to provide bearings as replacement parts to FAA certified repair stations. PKB is JCP-Certified, which is a joint certification program with United States and Canada. Pacamor Kubar Bearings manufactures high performance DFARS-compliant miniature and instrument ball bearings for the aerospace, defense, medical, industrial and commercial industries. Customers include major aerospace manufacturers and key re-sellers as well as various national laboratories and prestigious government organizations such as NASA. 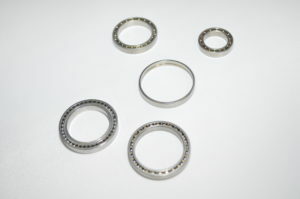 PKB provides these industries with precision ball bearings, including those with unique designs and materials used at sub-cryogenic temperatures. For more information on PKB, please follow us on our facebook page, and on our instagram feed. Pacamor Kubar Bearings offers the right bearing at the right price, for all your miniature, precision, and instrument applications. Bearing speed is affected by a variety of factors including bearing geometry. Bearing rings must be ground to very tight tolerances and polished to a smooth and shiny finish. Bearing steel must be of high quality with small, evenly spaced carbides. Large carbides and inclusions reduce the quality of the steel and create “tear outs” and “comet tails” in the raceway. This not only slows the bearing, but shortens the life of the bearing. Similarly superior ball quality must be maintained for optimal performance. 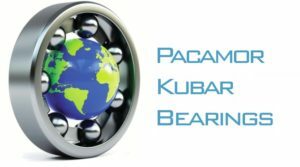 Pacamor Kubar Bearings (PKB) uses only the most reputable steel and ball vendors to ensure reliable, repeatable quality in all our domestically produced miniature ball bearings. The bearing retainer/cage must be produced from high quality materials and piloted in such a way, that it does not drag on any of the bearing components. Retainer drag will not only slow the bearing rotation, but will result in premature failure of the bearing assembly. Proper lubrication will enhance bearing performance and extend bearing life. Too much or too little lube or the wrong viscosity of bearing lubricant will also impair bearing performance. Some limiting factors include component quality, lubrication density, retainer material and design. The upper level assembly into which the bearing will be placed can also limit the bearing speed. Atmospheric conditions such as contamination, ambient or fluctuating temperatures, and moisture all impact the bearings speed capabilities. It is important to discuss the bearing’s operating environment with PKB, to be sure that vacuum conditions, salt baths, and other environmental factors are considered for optimum performance. Special coatings, various ball and retainer materials and a wide range of bearing lubricants are available to satisfy specific environmental conditions, speed, temperature, and other factors. Bearings are an essential component in many products and assemblies. The bearing allows the shaft to turn and control speed and vibration in an assembly. 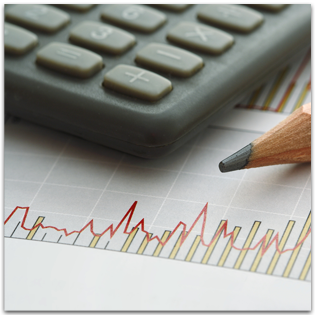 Getting product to market expeditiously is crucial to any project plan. A bearing designed from standard envelope dimensions with minimal special features will help contain project costs and reduce component lead times. When choosing a bearing, refer to the standard bearing envelope dimensions offered, and work with PKB to satisfy the specific requirement. PKB manufactures bearings for all miniature and instrument applications. PKB miniature bearings are found in medical and surgical handpieces, bone saws and drills, and fluid pumps for the medical industry. PKB produces annular bearings for miniature motors, actuators, and electrical sub assemblies for robotic applications such as pick-and-place robots and packaging equipment. PKB instrument bearings are used in guidance and missile applications as well as specialty products produced for rocket booster components. 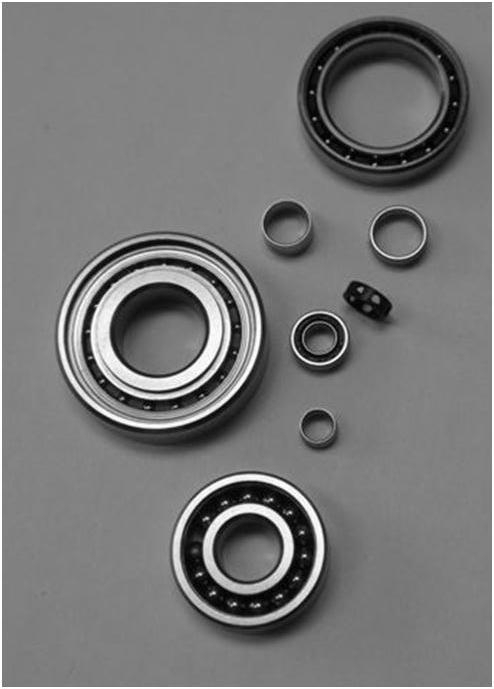 Lowest prices of ANY domestic ball bearing manufacturer. Let us show you! What bearing attributes are closely linked to speed, and how? Speed is affected by many factors, including bearing geometry. Bearing rings must be ground to tight tolerances and polished to a smooth and shiny finish. Bearing steel must be of high quality with small, evenly spaced carbides. Large carbides and inclusions reduce the quality of the steel and create “tear outs” and “comet tails” in the raceway; this slows the bearing and shortens its operating life. Finally, retainers must be piloted so they do not drag on any of the bearing components. Retainer drag slows the bearing and results in premature assembly failure. What are some of the limiting factors associated with speed, and how do you overcome them? The upper-level assembly into which bearings are placed can limit speed. Contamination, ambient or fluctuating temperatures, and moisture as well as vacuum conditions, salt baths, and other environmental factors should be considered for optimum performance. Special coatings, various ball and retainer materials, and a variety of bearing lubricants satisfy specific environmental conditions, speed, temperature, and other factors. Pacamor Kubar Bearings(PKB), is continuing our HOW-TO GUIDE series with some suggestions for estimating ball bearing life. We hope this will help you to maximize bearing life and performance. “Life” is the number of hours that a percentage of similar bearings have survived under an essentially identical set of operating conditions and loads. Life can be affected by a number of factors including loads, speed, lubrication, fit, maintenance, temperature, contamination, and others. Bearing life is defined as the length of time (number of revolutions) until a specific failure occurs. Predicting the life of a ball bearing is a statistical calculation of the fatigue properties of the various bearing components. Fatigue Life (L10 or Rating Life) of bearings is the number of hours or revolutions reached by 90% of a group of bearings subjected to the same loads before the onset of fatigue. Conversely, 10% of the same group of bearings can be expected to show evidence of fatigue before the L10 Life is reached. Many variables can impact bearing life. Various factors such as handling and contamination damage can dramatically reduce bearing life. Bearings should be properly stored, mounted, dismounted, and inspected. Optimized performance and life is also contingent on appropriate lubrication and sufficient protection from foreign matter. Bearings should be stored in a cool, clean, low humidity environment free of dust, shocks and vibrations. Proper fitting, using specialized tools and techniques, will also help maximize bearing life. For further assistance with bearing selection and design, please feel free to contact our engineering team. Catalog bearings, of all sizes produced by PKB, can be configured as Angular Contact, Radial, or Full-Complement types. PKB also manufactures a wide range of Thin-Section and Metric bearings. See our Bearing Installation Guide & Bearing Handling Practices pages for more information about proper installation of a PKB bearing into your device. Be sure to visit our Shaft and Housing Fits page for a detailed chart and more information about this topic. Pacamor Kubar Bearings manufactures DFARS-approved FAA TSO-C149 Aircraft Bearings in its ISO 9001:2015 certified factory, in Troy, NY. Pacamor Kubar Bearings (PKB) is JCP Certified. A Joint Certification Program is required by U.S. or Canadian Government Contractors wanting to obtain access to unclassified technical data drawings disclosing military critical technology with military or space application that is under control of, or in the possession of, the U.S. Department of Defense (DOD) or the Canadian Department of Defense. Share a unique, long-standing military and economic relationship. The PKB ball bearing factory capabilities keep expanding. Here’s the latest! We’re making angular contact, radial, full-complement, miniature inch and metric, instrument, thin-section bearings, and bearings with specialty features and modified dimensions, plus an optional flange. The PKB factory has further expanded machining capabilities, and is now able to include a flange on all bearing sizes, including our largest 1.125″ (28.57mm) OD bearings. Cryogenic Stabilization, as part of our Heat Treat Process, has become a popular request from the aerospace community. 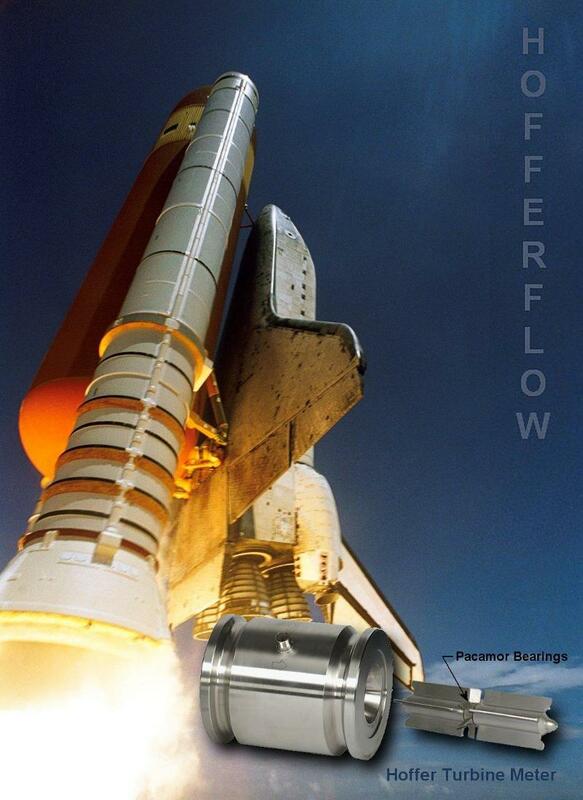 We’re pleased and honored to share a very nice testimonial, from the CEO of Hoffer Flow Controls, about the superior performance of PKB Cryogenic Bearings in their Flow Control Units. Speaking of cold. There are no snow days for us. We’re here for you, even in extreme weather conditions. The entire Pacamor Kubar Bearings(PKB) Domestically Manufactured Ball Bearings Catalog is FAA certified for use as FAA TSO-C149 Aircraft Bearings, and are appropriately DFARS approved and Domestically Manufactured at our ISO9001:2015 & AS9100D Quality Certified Factory in Troy, NY. Bearing lubrication is an essential element of bearing selection. Proper lubricant can reduce friction, prevent bearing wear, protect bearing surfaces from corrosion, and carry away excess heat from bearing operation. Pacamor Kubar Bearings(PKB), selects only bearing approved and tested oils and greases for our wide variety of lubricant options. Bearings operate on a very thin film of lubricant which must be maintained, or replaced, to ensure that maximum bearing life is achieved. Proper selection, application, and maintenance are vital in maximizing bearing life. Using the proper lubrication in the bearing will reduce friction and wear. This is achieved by creating a hydrodynamic film of appropriate thickness and strength to support the load while separating the balls from the raceway. How Does Lubrication Impact Bearing Life? Bearing lubrication prevents against metal to metal contact. It also minimizes retainer wear by reducing friction. Proper lubricant will conduct heat away from the bearing. Operational conditions such as temperature, loads, speed, torque, and environment determine the lube appropriate for the application. Should I choose Oil, Grease, or Dry Film Lubricant for My Application? Oils are used where low bearing friction torque is a primary concern. Grease may provide longer operating life and resist lubricant loss due to centrifugal forces at higher speeds. 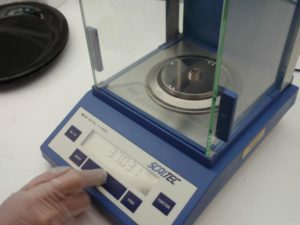 Dry-film lubricants are often appropriate for vacuum environments or other conditions where wet lube is not an option. Pacamor Kubar Bearings(PKB) offers bearing lubrication in grease form, oil lubricants, and solid dry film lubricants. What is Wettability and Why is it Important? Wettability is the ability of a liquid to maintain contact with a solid surface. 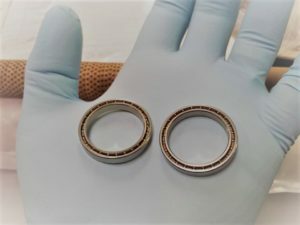 A bearing that is contaminated with two different surface treatments (intentional or unintentional contamination by other lubricants, soaps, detergents, hand cream, food products, etc), could result in a non-wettable condition on the raceway. In simplest terms, think about driving a car on the highway and the weather turns stormy. Rain pours onto the highway, mixing with the gas, oil, rubber, and other debris that was already coating the road. The road becomes very slippery in some places and not as slippery in others. The automobile’s tires slip and then gain traction and then slip again, on the differently lubricated surfaces of the road. Bearings should be re-lubed at the recommendation of the bearing manufacturer, when the bearings have been subjected to temperature conditions outside of the recommended temperature range, if the bearings have become contaminated, if the original packaging has become damaged, if you’re unsure of the lubricant’s expiration date, if there is any question about the quality, condition, or type of lubricant in the bearings, or if the bearing lubrication appears to have separated, discolored, or otherwise changed appearance. Can I Wash out the Lubrication and Install New Lube? 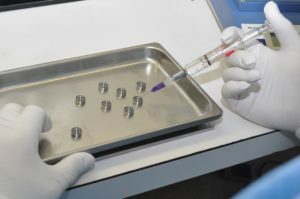 Many 440C Stainless Steel Bearings that are used in Aerospace, Medical, and other applications can be cleaned and re-lubricated, in proper clean room conditions and by properly trained personnel. Improper handling can result in cross contamination, problems with wettability on balls & bearing races, or ball & raceway damage, as well as broken, cracked, lost or otherwise unusable retainers, seals, shields, or wires. PKB provides bearing wash and re-lube services, for many aerospace OEM’s and authorized re-sellers, in our factory clean room. Please Contact PKB for a quote to rework your in-house bearings, with new lubricant, or to change over your ball bearing lubricant to a different lubricant. PKB maintains an extensive inventory of popular lubricant options. Dry-film lubricants are also available upon request. For further assistance with bearing selection and design, please feel free to contact our engineering team. See our Bearing Installation Guide & Bearing Handling Practices pages for more information about proper handling installation of the PKB bearing into your device. Be sure to visit our Shaft and Housing Fits page for detailed information about this topic. 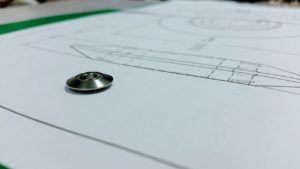 See our Shaft and Housing Fits page for a detailed chart and more information about this topic. See our Bearing Handling Practices blog, for more information about proper handling installation of PKB bearing, for improved bearing performance and life. See our Bearing Installation Guide page for more information about proper handling installation of PKB bearings into your device. Pacamor Kubar Bearings manufactures DFARS approved FAA TSO-C149 Aircraft Bearings in our ISO 9001:2015 certified factory in Troy, NY.